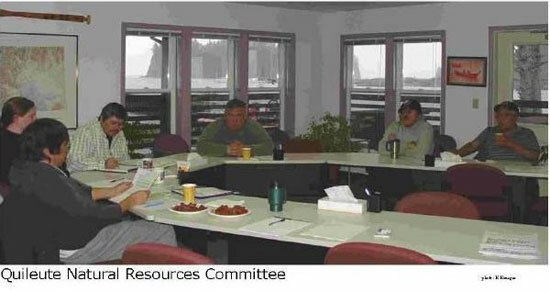 Between the Quileute Tribal Council and the Quileute Natural Resources staff is another layer of government: 7 elected tribal members, known as the Quileute Natural Resources Committee, or sometimes for short, the “Fish Committee”. However, their responsibilities extend beyond fisheries management, to management issues regarding wildlife and gathering—all natural resources matters covered by the Treaty of Olympia; and to legal/regulatory/ policy determinations for the above. All the members of the QNR Committee can be reached through the main QNR telephone number: (360) 374-5695, or by calling the front desk during business hours: (360) 374-2248.